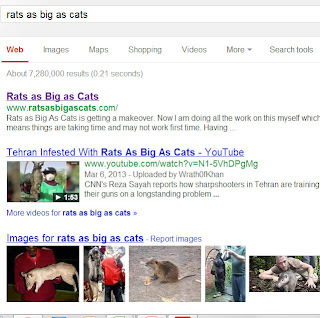 Rats as Big as Cats: What's in a name? 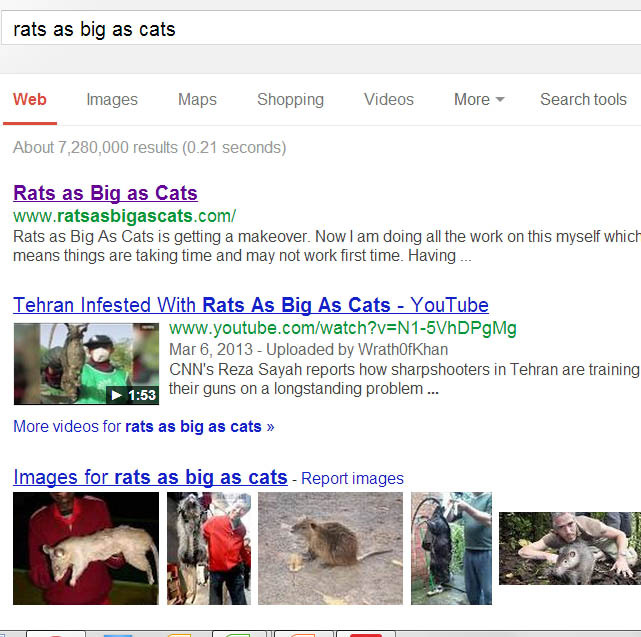 Yes those are giant rats. Like all good superhero's my blog name has an origin story and it has nothing to do with these rodents of extraordinary size - I thought it was high time to share this tale. Six years ago both BorderlineStraggler and I decided that we wanted to start blogging. We were both avid readers and wanted to start making our own content. Trouble is that when you set up your blog it needs a good name, a name that you are going to be able to evolve with as your blog matures, it needs to be have the right amount of cool cache without being too hipster, it also needs to be catchy and quirky. With all of these things to consider choosing names became a huge challenge. My mind was blank. 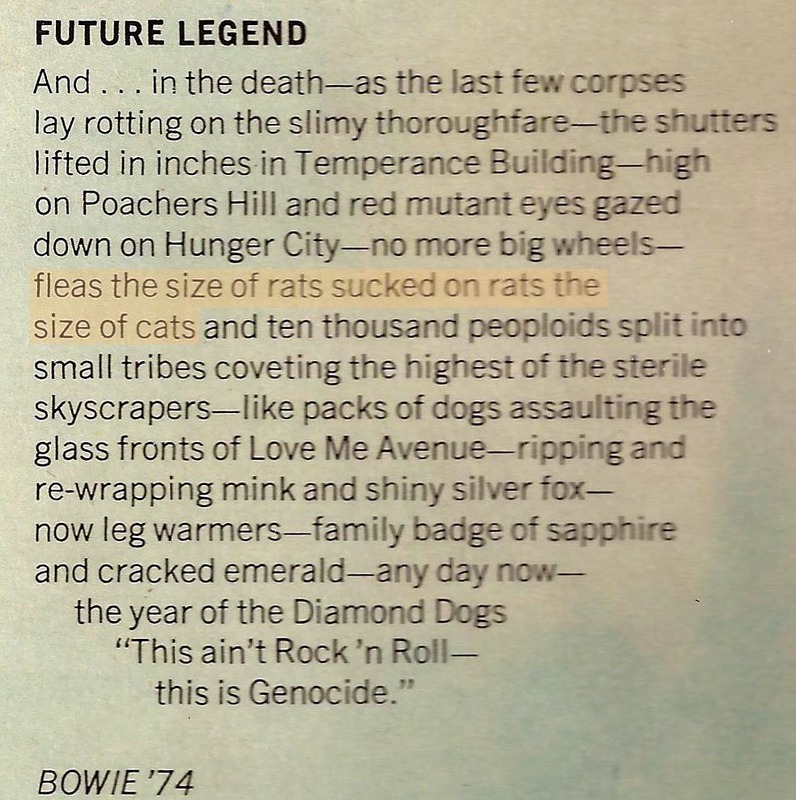 Luckily BS has a world of song lyrics and cultural references in his head and I eventually picked Rats as Big as Cats from his list of rejects. 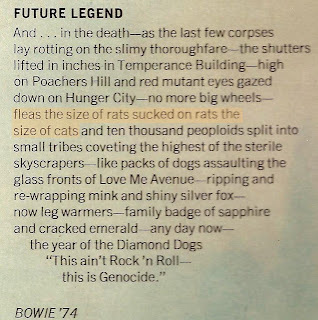 It is actually a misquote from the spoken word track 'Future Legend' on David Bowie's Diamond Dogs. It fit perfectly to everything I wanted, something that could be cute (I was firmly in the grip of kawaii at this time) but wouldn't be painfully cutesy once as my style evolved and it just felt right. 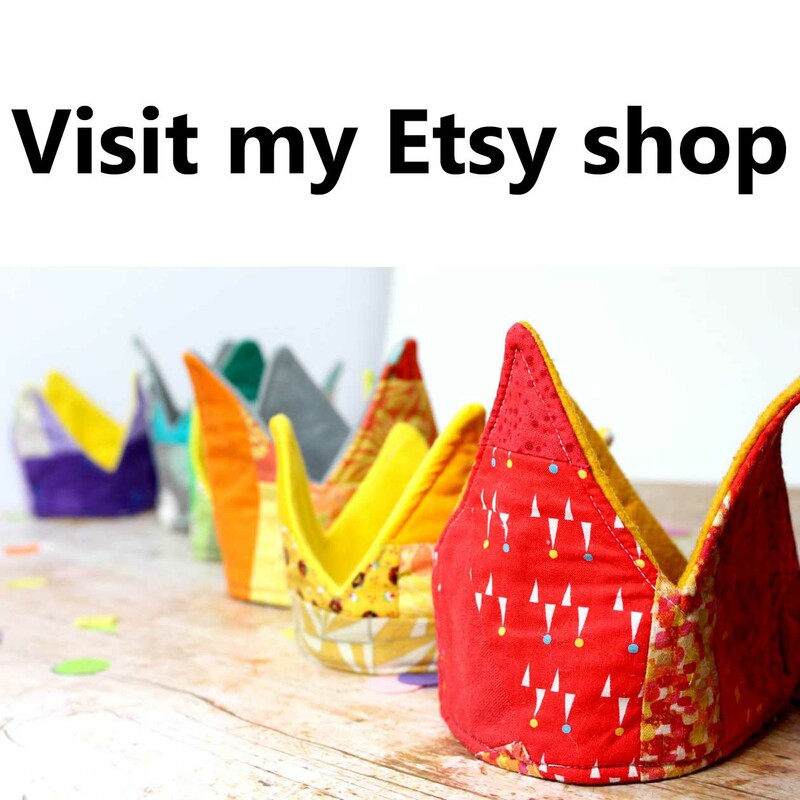 As this space and my crafty dreams evolved this space changed to. 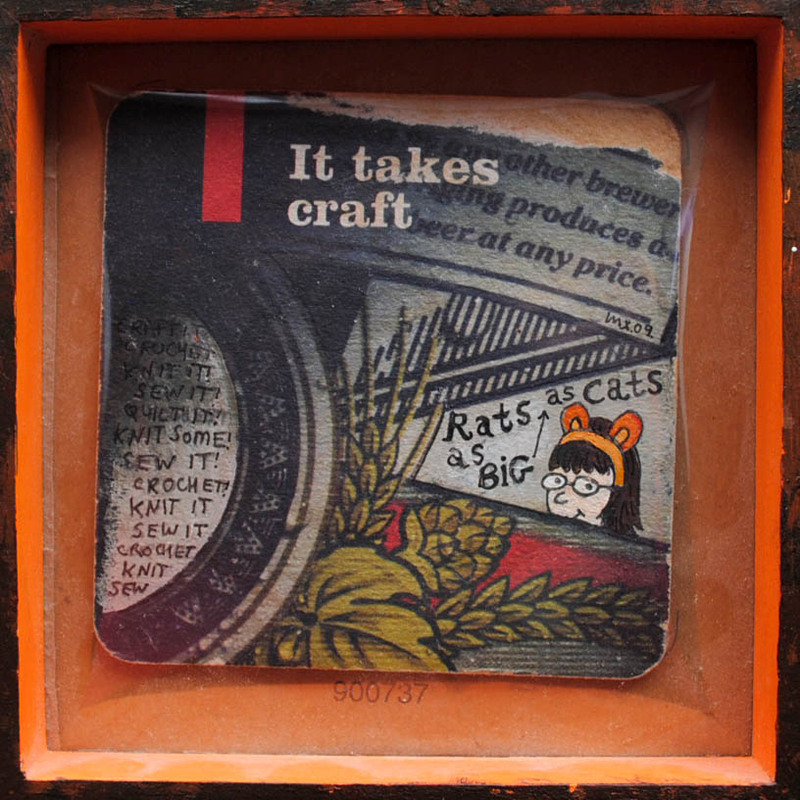 The biggest development came in the form of a beer mat. BS drew this logo for me one quiet night in the pub, I don't think he expected it to stay around for so long! Certain bits of the logo have evolved, I've lost the illustrated Penny and the "sew it, knit it, make it" sidebar has gone but the font has remained. In fact last week BS used ifontmaker to make me a full 99 character font based on this doodle which is now the basis for all my branding. Incidentally if you are reading on a reader I urge you to click through and take a look at my new improved space, I'm really proud of it! 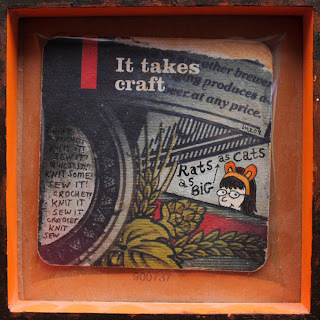 I have also updated my URL to www.ratsasbigascats.com, please update any bookmarks you have to my old blogspot.com address. I knew it was a Bowie reference. What do I win? Eternal smugness at knowing you're better than most? If that's not enough I'm sure a little something may make its way to you.